A comprehensive introduction to all key study areas within Applied Social Care: The Field of Social Care; Theoretical Approaches; Practice Issues; Social Care and Specific Population Groups. 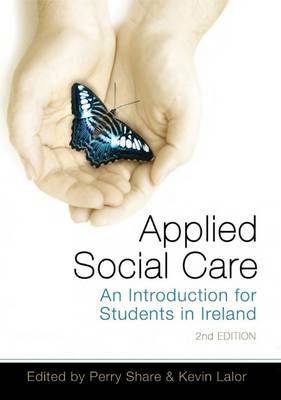 This second edition of Applied Social Care continues to establish Social Care in Ireland as a distinct professional field. * It is endorsed by the IASCE (Irish Association of Social Care Educators) and by the Resident Managers' Association. * This new edition incorporates o Legislative developments since the first edition, including the Health & Social Care Professionals Act 2005 * Additional chapters added to expand on a wide range of topics and themes, including: mental health issues; drugs, alcohol and substance abuse; multidisciplinary teamwork; and responding to challenging behaviour * Analysis of the most up-to-date research, practice developments, statistics and findings * Expanded field of expert contributors, both national and international * Suitable for students of Social Care/Applied Social Studies at FETAC and Degree level. * Accompanied by a lecturers' website containing teaching slides for every chapter.